So, our Centenary year is under way, and we have some great new events for you. Make sure you check the Events page on this site for all the details, and to download the application forms. Firstly, we’ve got the ever-popular ESFWI Golf tournament on Monday 20 May, at the Dewlans Manor Course. Details are on the application form. Next, Leisure and Learning are starting a series of seaside walks, starting on Wednesday 3 April, Brighton Marina to Rottingdean, and then moving on to Eastbourne on Wednesday 8 May, Eastbourne RNLI Museum to Holywell and back. 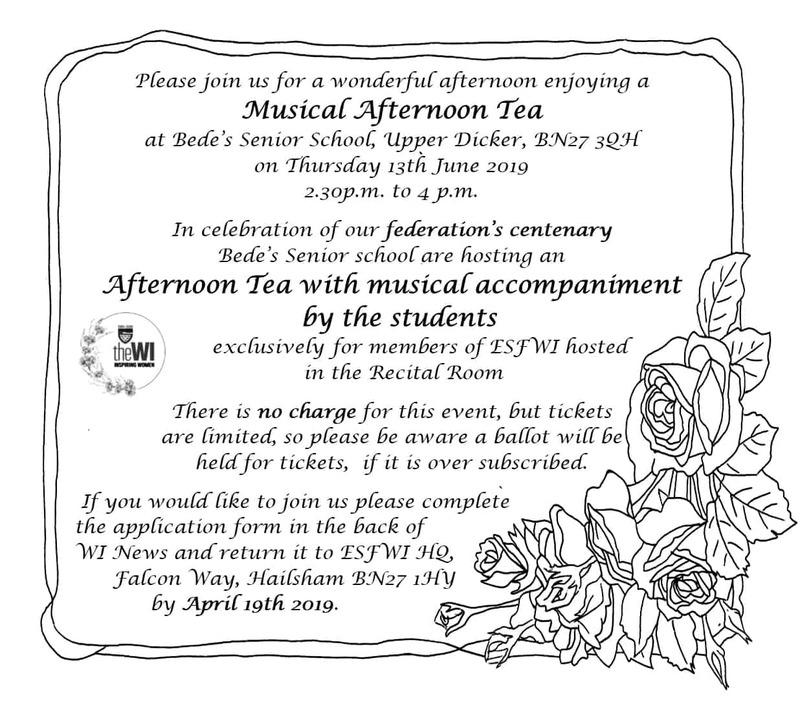 Another Centenary event for you: a Musical Afternoon tea at St Bede’s Senior School on 13 June. Finally, don’t forget to check the Events page for the latest Craft and Art dates, including the Centenary Craft Day and Market at Crowborough on Saturday 6 April.